Battle for the Best Web Browser for Windows continues in 2015. What constitutes a fast Secure Web Browser for Windows? A look at Slimjet - The Best Web Browser for Windows! There are issues with every Top Browser you use these days. Chrome crashes every time you open a heavy website, firefox has a clumsy interface and loads up slower. Chrome sends data from your browsing to multiple sources. you can pile up a list of flaws if you start counting. A browser should be secured but not restrictive, faster and should not crash, should have in built features and plugins, should be easy to Customize for personal use. Why we say that SlimJet is the Best Web Browser for Windows? Powered by Blink Engine, Slimjet provides faster Startup. It uses capabilities like Chrome to easily navigate through tabs, quickly switch between programs, work long hours without getting slower or Crashing. Slimjet does not send data to other sources unlike Chrome. Slimjet also reduces the risk of malware from 3rd party extensions by having in built useful features. Suppose, you downloaded something which addded Ads/Malware to your browser. Now you will install Ad Blocker and Malware removal extension programs. Slimjet uses in built Ad blocker to completely block unnecessary ads from day 1. Slimjet also uses feature extensions like PDF saver, Screenshot, Ad Blocker to respect your security and privacy. 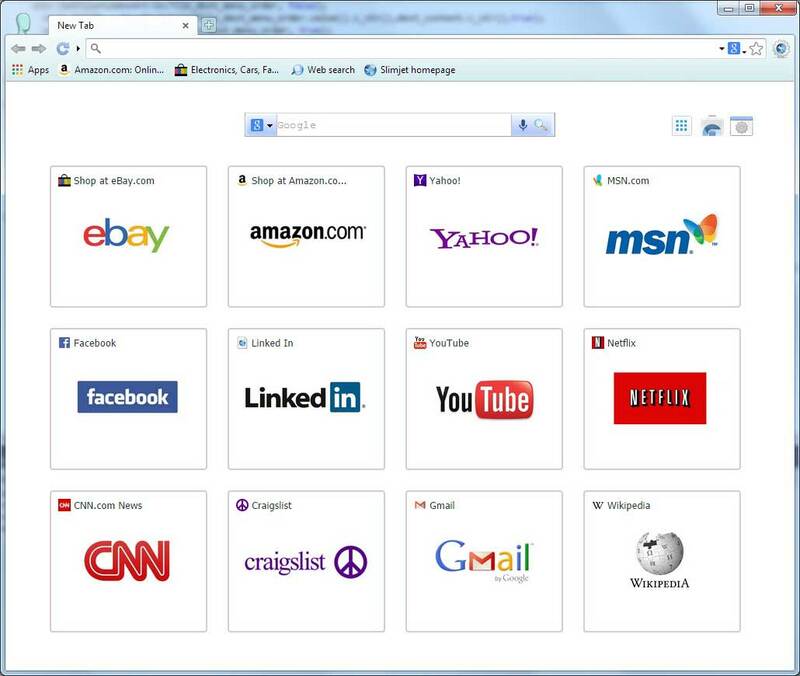 This is another feature which complements Slimjet as the Best Web Browser for Windows 7 & 8. Still using the browsers where larger downloads break after a few minutes? Switch to smarter web surfing with Slimjet. Slimjet has an in built download manager which uses high speed multi threads to process your download. So any download will be 12x faster than normal(depending upon internet connection speed) and will be uninterrupted. What else you want in the Best web Browser. This is not it! There is more to Slimjet which makes it the Best Web Browser. There are multiple reasons why Slimjet is the Best Web Browser for Windows 7 and 8. For issues related to Slimjet we have an excellent support forum and an increasing user base who is happy after switching to Slimjet. Ready to get Bedazzled by the Best Web Browser Around! Download Slimjet Today for Free!